Where will Ewe Ewe pop up? See our events page to try our next knit along, or visit us at a trade show, trunk show or yarn tasting! Trunk Show & Holiday Gift KAL Kick Off Party! Let's kick off the holidays just right, with knitting! Heather will be at Common Threads yarn shop in Encinitas, CA on Wednesday 11/12 for a trunk show, chatting and to kick off your holiday gift knits! Come see our new Ewe So Sporty yarn and the tons of fun patterns you can give as great gifts. See you there! Double Deco KAL Week 4 - Prizes! 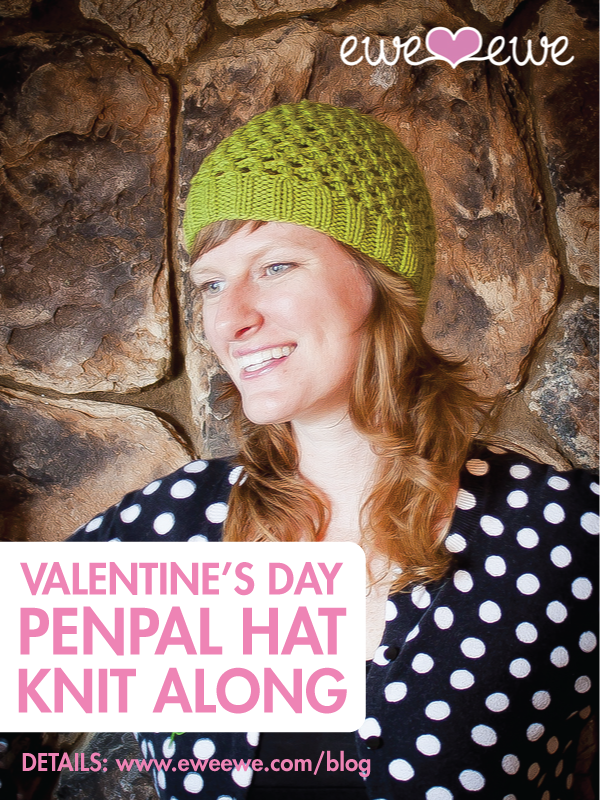 Come knit our cute heart pattern at our TNNA knit-along! Sit down with wonderful Wooly Worsted on Karbonz® needles. You'll have a make-and-take finished project!